Criterion A The place is important in demonstrating the evolution or pattern of Queensland’s history. 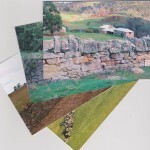 The dry stone wall at Jimbour was most likely constructed in the 1870s as a barrier fence, at a period when Jimbour Station was one of Queensland’s largest pastoral enterprises. 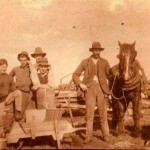 It is important in demonstrating the evolution or pattern of Queensland’s history insofar as it provides evidence of traditional European technology used by early settlers in controlling, shaping and adapting to the Queensland landscape. Criterion B The place demonstrates rare, uncommon or endangered aspects of Queensland’s cultural heritage. 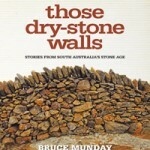 Dry stone walls of this size and extent are scarce in Queensland and the Jimbour Dry Stone Wall provides a relatively well-preserved example of a rare, uncommon or endangered aspect of Queensland’s cultural heritage. Criterion D The place is important in demonstrating the principal characteristics of a particular class of cultural places. 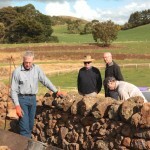 It stands as a testimony to the tenacity and skills of early pastoral workers and is important in demonstrating the principal characteristics of a traditional form of wall construction, dry stone walling, transplanted to Queensland in the 19th century. ….survives as an important marker of the enormous contribution made by South Sea Islanders to the sugar industry in Queensland. 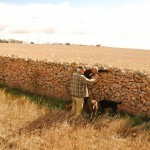 The dry stone rubble wall, formerly a boundary of the Mon Repos plantation, is over 1.5 kilometres in length. It is thought to have been constructed in the mid-1880s as part of the process of clearing the Woongarra Scrub—which was covered with rocks for the cultivation of sugar cane. 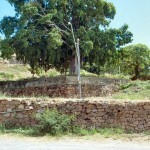 The wall is physical evidence of the labour-intensive manual work performed by indentured South Sea Islanders. Without such work, the sugar industry would likely have never succeeded in 19th century Queensland. The Drystone Wall, Melton Hill, Townsville was listed on the Queensland Heritage Register in 2005 and is said to be important in demonstrating the evolution of Queensland’s history. The drystone wall is all that remains on the site of the Library and School of Arts constructed in 1877 which became Townsville’s Supreme Court building for 86 years. The wall is believed to have been constructed in the late 19th Century and has characteristic British origins, with its approximate 800 mm width consistent with English walls. 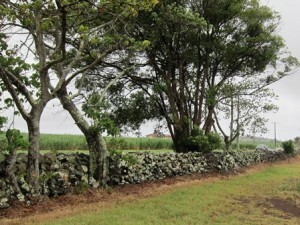 A dry stone wall in Germain Road, Lanefield, Ipswich noted here by the Queensland Government as an Identified Item of Interest.